5 different interchangeable stainless steel blades include 1.5mm slicer, 2.5mm slicer, 2.0mm julienne blade, 3.0mm julienne blade and wavy slicer. You can cut the vegetables in any shape and thickness you want, make your dishes interesting. 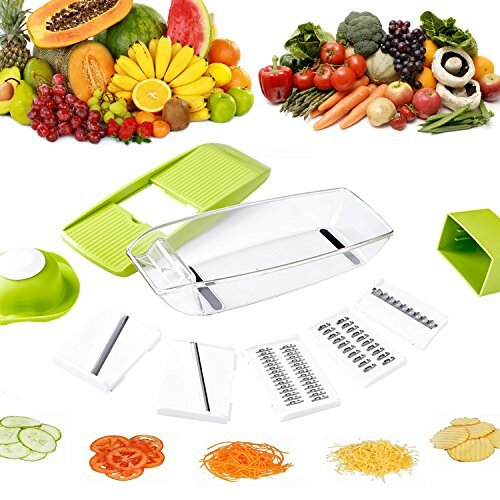 With kitchen slicer kit,you can save your time.And help you to prepare food more convenient and quickly.A safe hand-guard holds your food securely and protects your hand from accidental nick. Very sharp but makes life easier!